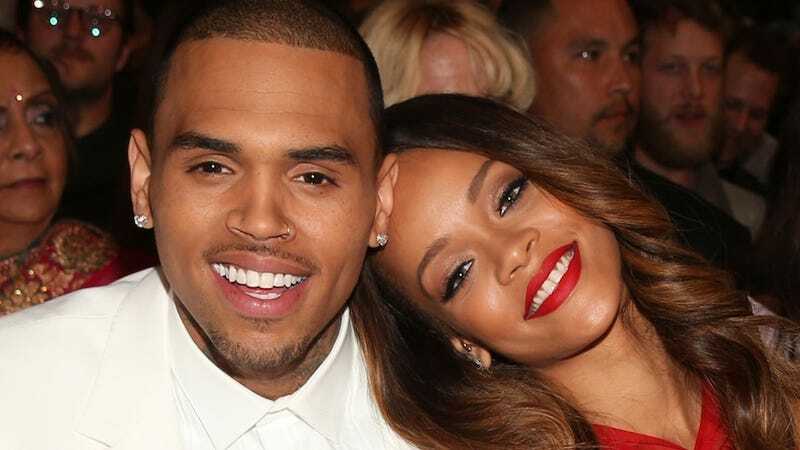 Speaking on Hot 97's Ebro In The Morning, Chris Brown reflected on the 2009 incident during which he assaulted and battered then-girlfriend Rihanna. A full five years later, Breezy wants you to know that he's remorseful and really hoping that you hearing that will be enough to finally shut you up about it. "I feel like through the years, I've said [I fucked up] enough now to where it's like, 'bro if you're still on that then I feel sorry for y'all, because it's over with.' I don't have animosity about it. Obviously I have remorse about it and it's something that's really serious, but as far as the situation—like me and her, we made amends, we good. She's my friend." So at the end of the day, I knew that was a mistake I would never make again, but I take into consideration like, dang, I was like 17-18—I'm 25 now—so I look back at it now like, dang, and I'm still doing community service and seeing the judge every month and a half over that situation. In some ways, Brown has a point. Legally, he has been paying for his crimes for the past several years and — as a culture — we don't have the greatest track record when it comes to even considering the rehabilitation or forgiveness of criminals, especially when they happen to be young black men. That said, when nary a month goes by without a story of Brown getting into a physical altercation with someone, it becomes a little more difficult to take his "I've grown out of it" claims seriously.